Manish Pandey took a spectacular catch at the long-on boundary to send Pakistan captain Sarfraz Ahmed packing. 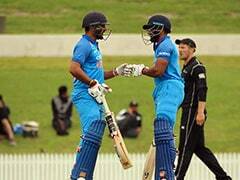 India romped to an eight-wicket win over arch-rivals Pakistan to enter the Super Four stage of the Asia Cup 2018 with back-to-back wins. Going into the match, Pakistan were touted as the favourites, especially after India's substandard showing against Hong Kong. However, the Indian team, being led by Rohit Sharma, rose to the occasion and put in a brilliant all-round performance to completely outclass Pakistan. 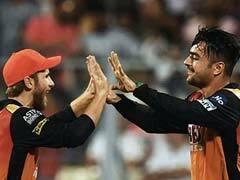 One of the highlights of the match was substitute fielder Manish Pandey's stunning catch at the long-on boundary that sent Pakistan captain Sarfraz Ahmed packing. 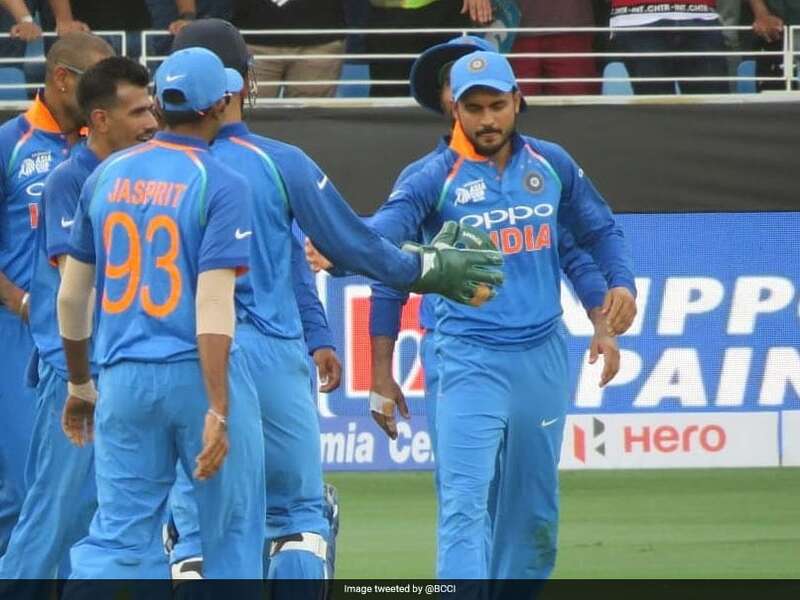 Fans and cricket personalities hailed Manish Pandey's stunning effort in the field with many even calling for him to be included in the playing XI. Arreeeyy waaah.. whatta smart catch out by @im_manishpandey ..
Don't know y dk is playing in the team..... when u have 2 better replacements..... i.e. K L Rahul and Manish pandey.... both as a fielder and as a batsman.... Surely some unknown hidden factors playing hand in selections..
#IndvsPak Somehow india should get Manish Pandey in ! Manish Pandey deserves a place in the side for his fielding itself. Either that or he should be India's permanent substitute fielder till 2019. The India vs Pakistan encounter proved to be anti-climax after all the hype created before the Asia Cup clash. India were just too good on the day and didn't give Pakistan even a sniff. Despite winning the toss and electing to bat, Pakistan were under the pump straightaway. Bhuvneshwar Kumar struck in the second over to first remove Imam-ul-Haq and then again in the fifth over to end Fakhar Zaman's stay as Pakistan fell to 3 for 2. Babar Azam and Shoaib Malik provided brief hope to the Pakistanis but Kuldeep Yadav quickly gave India back the advantage with a brilliant googly that sent Babar Azam packing. Captain Sarfraz tried to hoick Kedar Jadhav out of the ground but Manish Pandey had other ideas. Shoaib Malik was run out soon after as things went from bad to worse. India applied the pressure and reaped rich dividends as Pakistan were packed up for 162 in 43.1 overs. In reply, an 86-run opening stand between captain Rohit Sharma and Shikhar Dhawan ended all hopes of a Pakistan fightback and put India on their way to an emphatic win. India and Pakistan will again clash in the Super Four stage on Sunday.